Wellness Patrol: Matcha: is this cult green tea really that good for you? 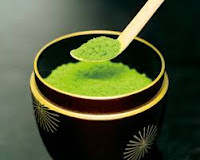 He urges consumers to make sure they buy high quality matcha made from tea grown in rural areas, as plants exposed to pollution can absorb lead. 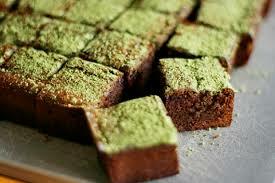 Prices vary widely according to the grade – don’t waste the superior stuff in cooking as it costs £12–£35 for 40g, compared to £5.50 for the same amount of culinary grade matcha that's more appropriate for adding to cakes. 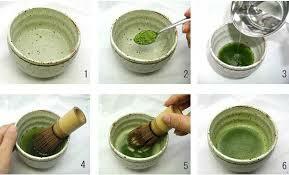 To prepare matcha the traditional Japanese way, measure the tea into a heated tea bowl (chawan) with a bent bamboo spoon (chashaku). Add hot but not boiling water – 70°C is about right – then whisk to a froth using a special bamboo whisk (chasen). Comins says this last step is what gives matcha its smooth and silky consistency – and he would love it if more people opted to make their tea this way.